Netflix members can now share what they’re watching through Instagram stories, using the Netflix app on iPhone. 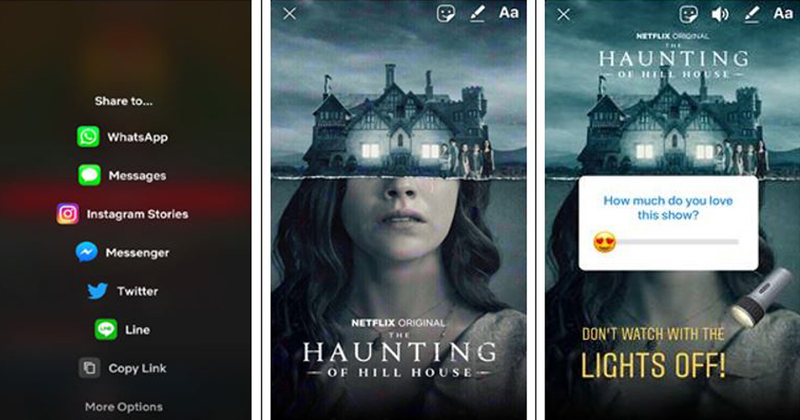 Netflix members only need to open the Netflix app on their iPhones, select a title they want to share, add that title’s custom art, then share it as an Instagram story or to their friends as a direct message. The story remains visible for 24-hours and provides a “Watch On Netflix” link back to the title page within the Netflix app. Leigh Wong, Netflix’s Head of Communications for Southeast Asia, said, “We’re always on the lookout for ways to make it easier for members to share the Netflix titles they’re obsessing about and help them discover something new to watch.